WDM 2015, NICE, FRANCE – French operator Orange has reported a successful field trial transporting 38.4Tbps over 762km (472 miles) on its installed network, from Lyon to Marseille and back again. This is the highest aggregate capacity ever reported for optical transmission in the C-band, the operator says. The trial was carried out as part of the project SASER (Safe and Secure European Routing), part of the CELTIC-Plus European research initiative, and under the subproject SIEGFRIED. For Orange, the objective was to demonstrate that its installed fibre-optic infrastructure is able to transport multi-terabit capacity. 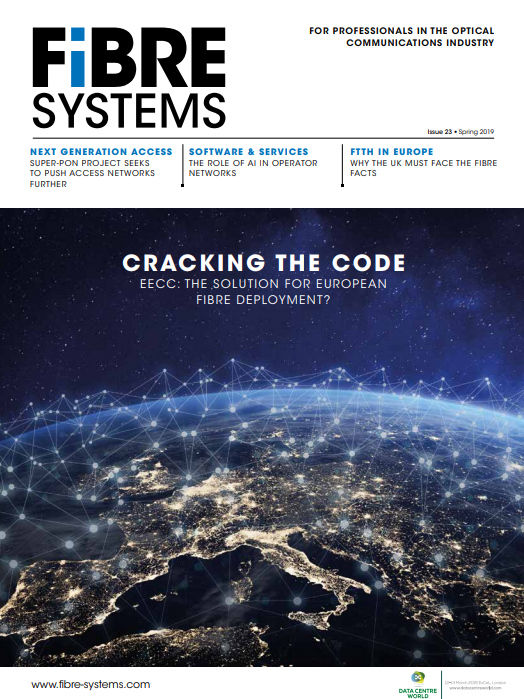 For vendor partners Coriant, Ekinops, Keopsys, and Socionext, the aim was to validate their next-generation optical transport technologies to show that they are compatible with the operational constraints of a real, live optical network. Designed to showcase upcoming technologies, the field trial employed terabit and faster super-channels, implemented by Coriant. In fact, Coriant says it is the first ever field demonstration of full flexi-rate and flexi-grid transmission – with modulation schemes ranging from QPSK to 64QAM – which were based on prototype versions of Coriant’s just announced CloudWave Optics software programmable photonic layer technologies (see Coriant enhances network flexibility with CloudWave Optics). In addition, the coherent transmitters and receivers used the latest generation of ultra-high-speed analogue-to-digital converters with a sampling rate of 92GSa/s, developed by Socionext, the company formed by the amalgamation of the systems LSI businesses of Fujitsu and Panasonic. A variety of advanced modulation formats were put through their paces, including 24 super-channels at 1Tb/s via DP-16QAM (i.e. 24Tb/s), 32 super-channels at 1Tb/s via DP-32QAM (i.e. 32Tb/s), and 32 super-channels at 1.2Tbps via DP-64QAM (i.e. 38.4Tb/s). The distance of 762km is more than twice the distance previously achieved for 32QAM, and the first demonstration of 64QAM transmission over a regional distance, according to Coriant. Other advances contributed to the record distance achieved in the trial. An important development was the high-level of performance of hybrid optical amplifiers developed by Ekinops and Keopsys, which were used on each of the amplification spans. The hybrid Raman/erbium-doped fibre amplifiers (EDFA) were designed to be low-cost and energy-efficient, with only two pump lasers at two different wavelengths. Ekinops and Keopsys also worked together to optimise the flatness of the amplifier response from the combined Raman/EDFA gain blocks. Moreover, the field infrastructure provided by Orange was not just any old infrastructure. It consisted high-quality G.652 singlemode fibres with loss-reduced connections between the equipment (terminals, amplifiers) and the cable ends, thus enabling the transmission link to support distributed Raman amplification and terabit super-channels. Nevertheless, the participants in the project say that the trial points to the future.